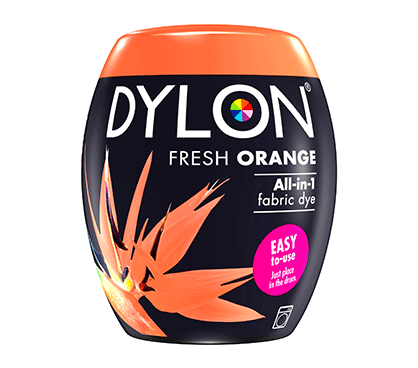 Dylon Fresh Orange All-in-1 Fabric Dye Pod - easy to use in the washing machine. The ideal way to change the colour of clothes and soft furnishings, revive faded items and bring long-lasting colourful results to many projects. Suitable fabrics: 100% Cotton, High% Cotton Mix, 100% Linen, High% Linen Mix, 100% Viscose, Viscose-Natural Fibre Mix and Canvas Fabric. 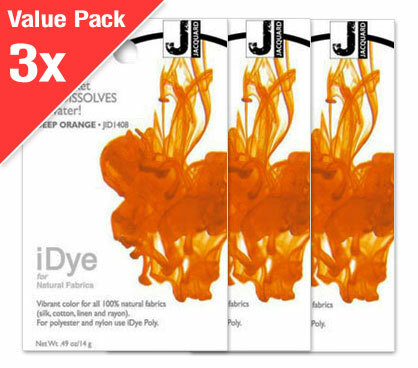 1x 350g pack will dye up to 600g fabric to full shade, up to 1.8kg fabric to lighter shades. No need to add salt – it’s already added in the formula. - Suitable for: Cotton, linen and viscose will dye to full shade. - Mixed fabrics (containing synthetics such as polyester-cotton) will dye to lighter shades. - NOT SUITABLE FOR: Wool, silk, fully synthetic fibres (polyester, acrylic, nylon) and fabrics with special finishes or membranes (e.g. ‘dry clean only’ ‘waterproofing’ or ‘fire retardant’, etc.) cannot be dyed. 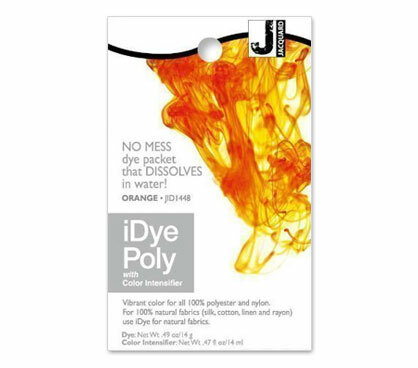 - 1 pack will dye up to 600g of dry fabric to the full shade (e.g. jeans, 4 t-shirts, or a bath towel). Larger amounts of fabric will result in lighter shades (1 pack can dye up to a maximum of 1.8kg of fabric). - Colour mixing rules apply, e.g. blue dye on red fabric gives purple. 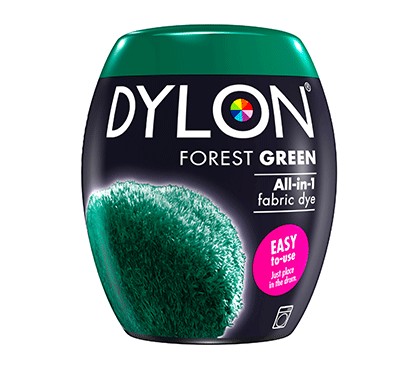 - Dyeing to a lighter colour, or changing from one strong colour to another, is only possible by using DYLON PRE-DYE first. - Patterns on fabric may still show through after dyeing. - Stitching may not dye (if synthetic). - Dyeing may not cover stains, faded areas or bleach marks. - Cotton, linen and viscose will dye to full shade. - Mixed fabrics (containing synthetics such as polyester) will dye to lighter shades. - Wool, silk, fully synthetic fibres (polyester, acrylic, nylon) and fabrics with special finishes or membranes (e.g. ‘dry clean only’ ‘waterproofing’ or ‘fire retardant’, etc.) cannot be dyed. - Colour mixing rules apply. 1. Place damp, unfolded fabric into the washing machine drum. Always start with clean fabric (wash thoroughly, even if new, to remove stains or any finishes that cannot be seen). 2. Remove pack sleeve completely. Peel off lid from the top of the dye pod and place the full pod in an upright position (on top of the fabric). 3. Run full cotton cycle (avoid pre-wash, economy or half-load cycles). 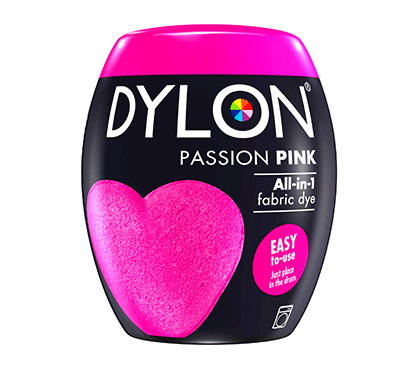 For best results, dye at 40˚C (the dye works at 30˚C if required by the fabric). 4. When cycle is complete, remove the empty pod from the machine. Add washing detergent and run another cycle (same washing settings as the first). 5. 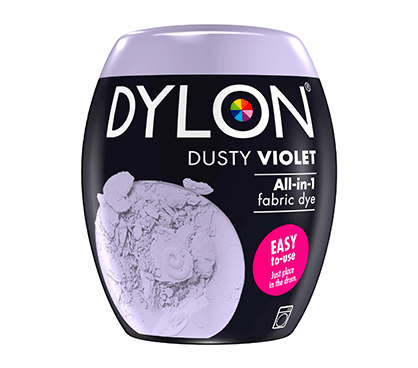 Remove fabric, add detergent and run empty cycle to remove any remaining traces of dye (at 40˚C or 60˚C). - Weigh dry fabric to ensure you have sufficient dye for desired effect. - Dry fabric away from direct heat and sunlight (do not use radiator). - Do not add salt (it’s already included in the formula). - Always use the whole pack(s). - When using multiple packs, empty the dye powder from the pods into the drum. Add damp fabric and continue from step 3. of Usage Instructions. Only use a maximum of 5 pods at once. - Only dye up to half of the machine’s maximum load (to avoid patchy results). 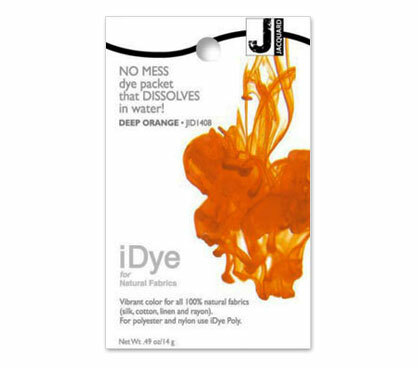 - After dyeing, wash separately or with similar colours for the first two washes. - Should any dye remain in the machine, run another empty cycle with detergent and a cup of household bleach in the drum. - Do not use in launderette machines.